22kt Gold temple necklace set is embossed with peacocks in gerua finish. Necklace is designed with hanging pendant engraved with Goddess Lakshmi sitting on a lotus flower with peacocks on the side and hanging rubies. 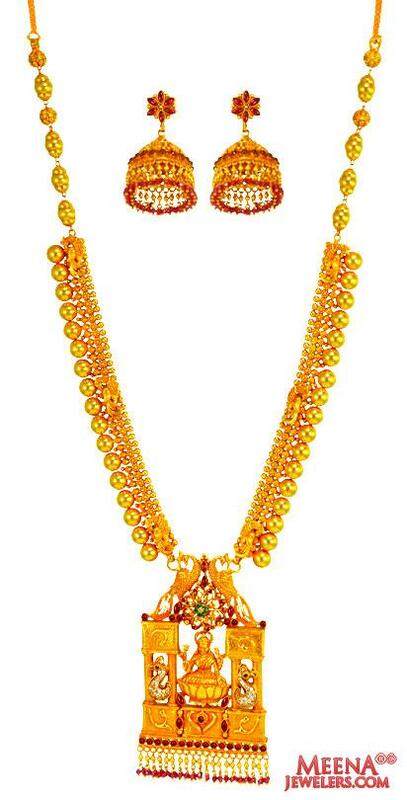 Necklace set is studded with gold balls. 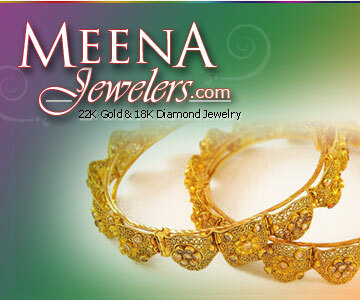 Earrings are beautifully made in a jhumkhi style with hanging rubies in a screw back post. Hanging Pendant is 85.00 mm inches long and is 46.00 mm wide.